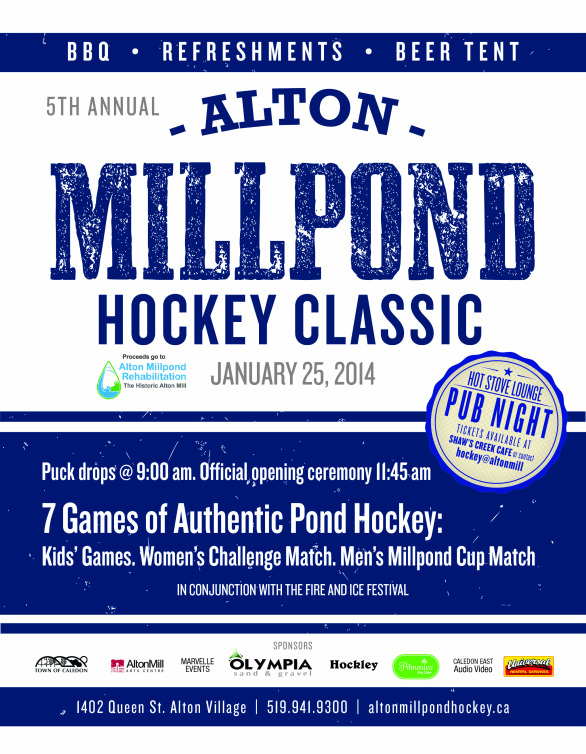 The Alton Millpond Hockey Classic is a fundraiser in support of the Alton Millpond Rehabilitation Project, an environmental project to restore the historic three acre Alton Millpond.Started in 2010, this community-based event has rapidly become a well-known and well-loved local winter tradition. 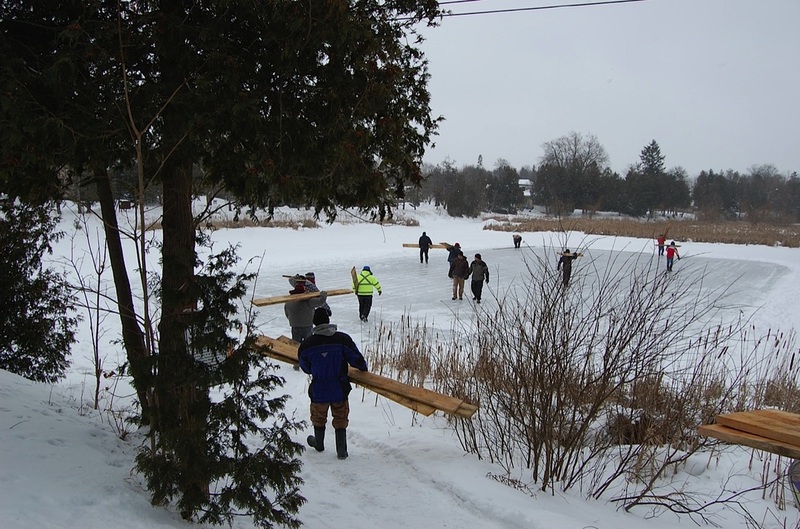 At its core, this event is about hockey, community and the environment. 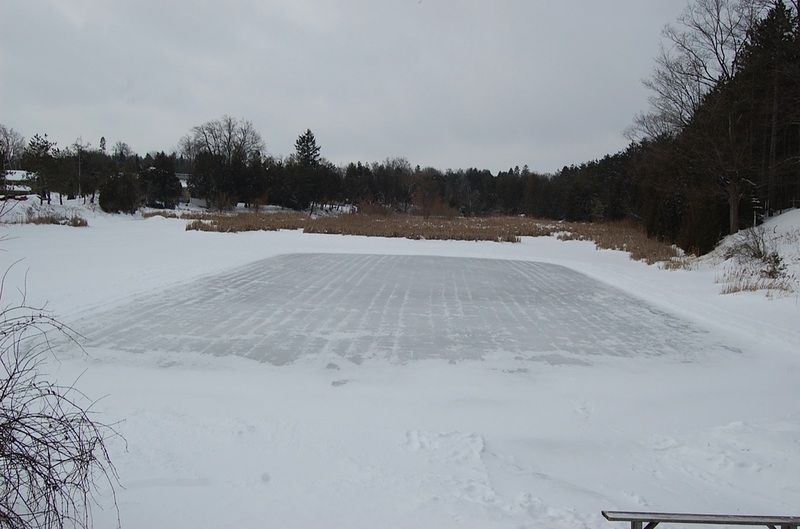 Outdoor hockey is a quintessentially Canadian winter activity, and playing on a millpond is about as great a hockey experience as one can get. 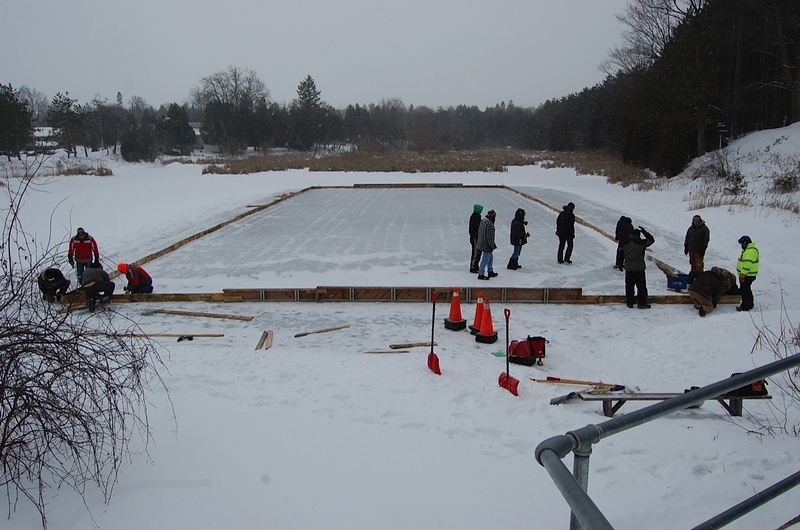 The set-up crew did their magic on Sunday, January 19th. 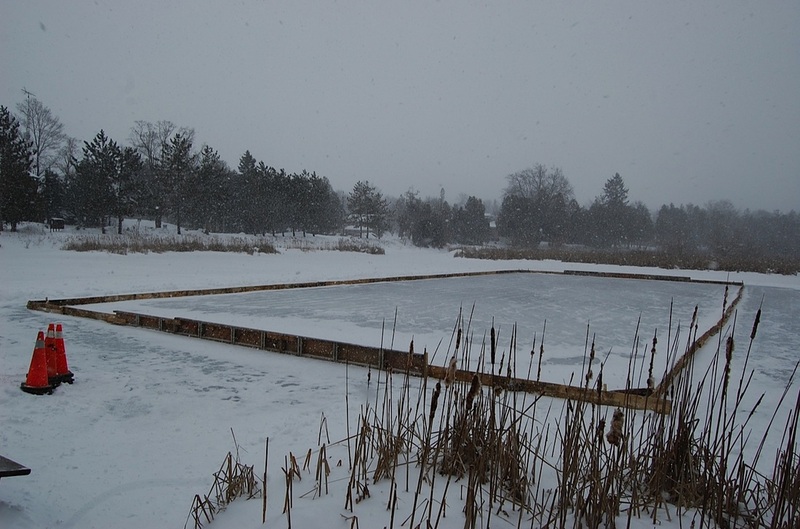 The boards are up and ready to go and the rink is in GREAT shape for the 2014 Classic! 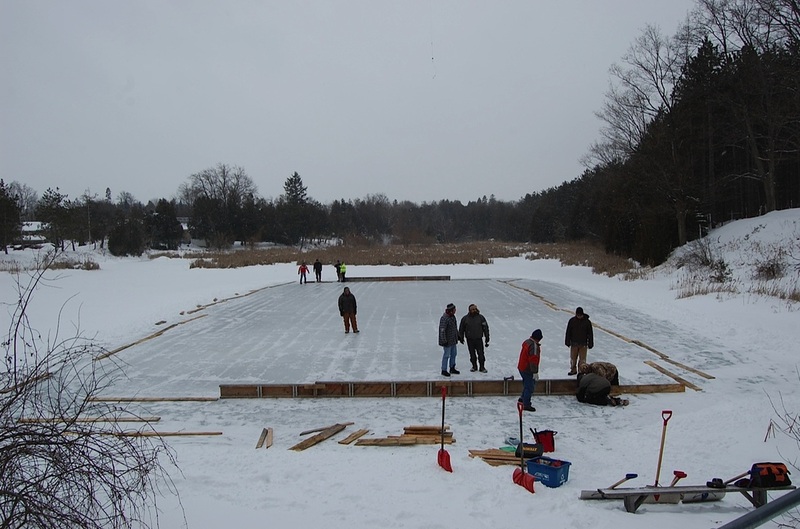 Through the magic of old-school photography, click on the photos below to see the rink come together before your very eyes!